When I started the blog, this was an awesome ship! Without a doubt, the community will be the thing I'll miss the most. I've made some great friends over the years; some of you I got to hang out with in Iceland or at one of the London meets, while there are many others I didn't meet but would have liked to. I've had a lot of fun blowing up spaceships with all of you - thanks for being a part of my game. Running the blog has also been a great experience, and I encourage any of you who've been considering one to give it a go. I won't lie; it can be difficult at times and it can take quite a lot of willpower to keep the updates flowing, but it's a great way to get involved with the community. I've been lucky enough to see mine become relatively successful, and I've had fun watching it grow from what was essentially just a replacement for my overly long forum posts into a well regarded and, I hope, generally quite useful resource for aspiring PVPers. I've been getting a constant stream of emails and evemails from new PVPers who've been helped or inspired by one of my guides, and knowing that I've had that kind of positive impact on someone's game is incredibly rewarding. I do feel like the kind of content that I've been offering - in particular the Know Your Enemy series - provides something that's otherwise quite difficult to come by. That's really why I started writing it, and has only become more true as balancing has stepped up a notch. Unfortunately, simply keeping the older posts up to date has been a losing battle for a while now. It's a little disappointing that I never got to finish the series, as well as that everything I have written is going to go out of date fairly quickly if it hasn't already. On the other hand, I think it says great things about the current state of the game - balance is now a constant process instead of something that only happens every couple of years, and old, clunky mechanics are actually being updated and improved rather than left to languish. That's a trade that I'm more than happy to take. The good news for you guys is that the site isn't going anywhere. The domain doesn't cost me much, so while I won't be updating it the blog will remain online and accessible as long as people keep reading it. As well as that, all of the content on the blog is (and always has been) published under Creative Commons, meaning you can take it and use it however you like - repost it to your forum, copy it to your wiki, translate it, update it, whatever you want. All I ask is that you link back to the original and let everyone know where it came from! 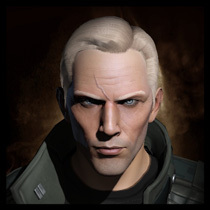 While it might be a little cliché, I'd like to finish off with a few thanks: To CCP for making a great game, and for the support that they give to the fansite community. To Eve University for the service they offer to new players (including me, once upon a time). To all my friends at Agony Unleashed, who were my family for so much of my time here. To the RvB/Ganked community for being the best fun available in the game, and to the Tuskers for being the classiest. To the /r/eve subreddit for apparently loving everything that I do, as well as for completely destroying my productivity at work. And finally most of all, to you - my readers. The blog wouldn't have happened without you, so thanks for reading and thanks for coming back! Ok, that's enough warm and fuzzy - back to scamming and backstabbing, all of you! We have a reputation to uphold! As for me, CCP were recently kind enough to renew my fansite account, and while I don't expect them to keep it that way for much longer I may continue to log in occasionally for so long as that remains the case - we'll see how things go. Once that runs out, I expect I'll let my accounts lapse. And no, you can't have my stuff. After all, you never know when I might need it again!